Brig. Gen. Dana A. Simmons, director of the Air Force Office of Special Investigations, will discuss the AFOSI’s role in the war on terrorism on Feb. 6 in the Kerper Courtroom of the George J. Beto Criminal Justice Center. The lecture will begin at 6 p.m. and is expected to last for one hour, with some time for questions following the presentation. 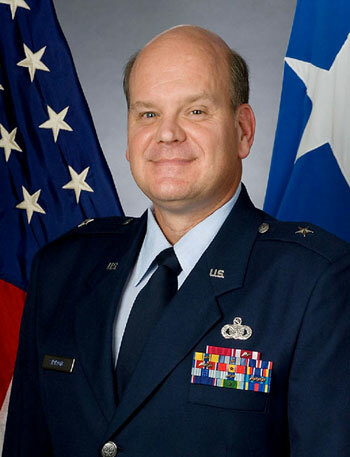 Simmons’ distinguished career includes service as vice commander and now commander at AFOSI Headquarters at Andrews Air Force Base in Maryland. Previously, he has served as commander of AFOSI Field Investigation Squadrons around the world and has filled a number of leadership positions spanning 28 years of service. The Air Force Office of Special Investigations has been the Air Force's major investigative service since Aug. 1, 1948, and is responsible for protecting the Air Force and Department of Defense personnel and resources worldwide through its services. The presentation is open to SHSU students, faculty and staff, as well as members of the Huntsville community. The Sam Houston State Athletic Department is looking for talented singers to perform the National Anthem at selected Bearkat athletic events. Tryouts will be held on Monday (Jan. 30). If interested, contact Ashley Kees in the Bearkat Athletic Marketing Office at 936.294.1729 to set up an appointment. The curriculum and instruction department will open online applications for elementary and secondary education methods blocks for the fall 2006 semester on Wednesday (Feb. 1). Education students may apply through the SHSU Web site by first clicking on the SamInfo link, followed by the "Education Students" link, the third block down on the right side of the screen. From there, students should select either “Elementary Methods Application” or “Secondary Methods Application,” and follow the instructions from there to complete the application, according to curriculum and instruction secretary Susan Hayes. In order for the application to be completed, students must remember to select fall 2006 because the screen defaults to the current semester, and all boxes must be completed or th application won’t go through, Hayes said. After the application is processed, the student will receive an e-mail telling which sections that person should register for. For more information or help with the process, contact Hayes at cai_sch@shsu.edu, Charlene Crocker at csc001@shsu.edu or call 936.294.1146. Senior theatre majors Rachel Saunders and Joshua Amyx will direct two one-act plays Wednesday through Saturday (Feb. 1-4) in the University Theatre Center’s Showcase Theatre. “The Lover” and “Zoo Story” will be played at 8 p.m. nightly, with a 2 p.m. Saturday matinee. “The Lover,” directed by Saunders, explores the marriage of Sarah, played by Ashley Flatt, and Richard, played by Jason Cochran, whose marriage has become such a sham that they develop a fantasy life filled with mysterious lovers. Or are these lovers fantasy? Playwright Harold Pinter keeps the audience guessing in his play, which premiered on Sept. 18, 1961, at the Arts Theatre. “Zoo Story,” directed by Amyx, tells the story of a discontented loner, Jerry, played by Benjamin Solis, and Peter, a well-to-do publisher played by Jon-Michael Hamman, who strike up a conversation on a bench in Central Park. Stage managers for the performances are senior theatre majors Ashley Simone, for “The Lover,” and Christie DeBacker, for “Zoo Story.” Designers for both shows include senior theatre major Marissa Marsh, costumes; sophomore theatre major Greg Hall, sets; and senior theatre major Sheena Cooper and sophomore theatre major Justin Beard, lighting. Tickets are $8 for general admission. Children under three will not be admitted, as the plays contain adult content. For more information, or to make reservations, call the UTC Box Office at 936.294.1339. The Newton Gresham Library will help students learn the proper way to deal with “those pesky citations” for research papers with a RefWorks Citation Workshop on Monday (Jan. 30). The first of many workshops that will be held this semester will be held from 11:15 a.m. to 12:15 p.m. in Newton Gresham Library Room 157. “RefWorks helps you organize and enter citations in the format designated by your professional organization, journal, or publisher,” said Ann Holder, director of library services. The program allows users to select one of 247 formats for citations. “Start using it when you're finding your citations and at least the citing portion of the writing process will be a breeze,” Holder said. The workshop is open to all SHSU students, faculty and staff. Other workshops for the semester are scheduled as follows: Feb. 9, from 11:15 a.m. to 12:15 p.m.; Feb. 15, from 3-4 p.m.; Feb. 21, from 4-5 p.m.; Feb. 27, from 11:15 a.m. to 12:15 p.m.; March 9, from 1-2 p.m.; March 22, from 1-2 p.m.; March 27, from 2-3 p.m.; and April 4, from 4-5 p.m.
For more information contact Jeannie Colson at 936.294.4782 or 936.294.1599 or by e-mail at lib_vjc@shsu.edu. This photo is one of many Barbara Sloan will have on display at the Walker Education Center between Feb. 1-26 for her exhibit, "Death and Art." Twenty years after taking pictures in an Italian cemetery, local photographer Barbara Sloan will display those portraits for the first time at the Sam Houston Memorial Museum’s Katy E. Don Walker Education Center, beginning Wednesday (Feb. 1). The exhibit, “Death and Art,” is a collection of silver prints taken in 1986. 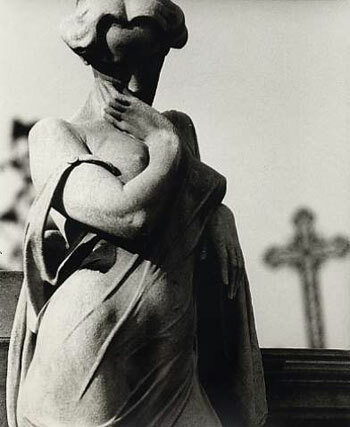 A fashion photographer at the time, Sloan was preparing to leave Italy to return home to see her father, who was dying of cancer, when she found Cimitero Monumentale. Never having developed the pictures, Sloan recently found the negatives in a closet and developed the black-and-white images in her own darkroom. The exhibit, which will run through Feb. 26 with the support of the Huntsville Arts Commission, will be dedicated to her father, H.W. Sloan, Jr. The Walker Education Center, located at 1402 19th St., is open Tuesday through Saturday, from 9 a.m. to 4:30 p.m., and on Sunday, from noon to 4:30 p.m.
For more information call the museum at 936.294.1832 or visit the museum’s Web site at http://www.shsu.edu/~smm_www/. Texas Hold 'em will kick off another month of card tournaments for the Kat Klub beginning Wednesday and Thursday (1-2). A second Texas Hold’em tourney will be held Feb. 15-16, followed by a Blackjack tournament on Feb. 22-23. All tournaments are held at 5 p.m. in the Kat Klub, located on the first floor of the Lowman Student Center. Games are open to all SHSU students, faculty and staff, and the winners of the Texas Hold’em tournaments go on to compete in a tournament of champions held at the end of the spring semester. The Kat Klub is open Monday through Thursday, from 9:30 a.m. to 8:30 p.m.; Friday, from 9:30 a.m. to 5 p.m.; Saturday, from 1-5 p.m.; and Sunday, 3:30-7:30 p.m. Participants are encouraged to sign-up ahead of time and may do so by calling Gary Roark at 936.294.1722. “Broken Blue,” her poem, has appeared in “The Georgia Review” and “Parnassas” and has earned Morphew distinction by winning her the W.B Yeats Society Poetry Award. She is also the recipient of a Tennessee Arts Commission Grant. Morphew’s books include “The Garden Where All Loves End,” published by La Jolla Poets in 1997, and “Fathom,” which is forthcoming in 2006 from Turning Point Press. Copies of “Shenandoah 55/3” may be purchased for $10 at local booksellers or ordered directly from “Shenandoah,” Mattingly House, 2 Lee Ave., Washington and Lee University, Lexington, VA, 24450-2116. Edited by R.T. Smith, “Shenandoah” has published award-winning fiction, poetry, essays and interviews since 1950. Work published in the magazine is regularly included in “The Best American Short Stories,” “Prize Stories: The O. Henry Awards,” “The Best American Essays,” “The Best American Poetry,” “New Stories from the South,” and “The Pushcart Prize: Best of the Small Presses” annual anthologies. A book published by the Texas Review Press was one of the factors resulting in a Montgomery College English instructor receiving a unique honor. David M. Parsons, whose book “Editing Sky” won the 1999 Texas Review Poetry Prize, is the first-ever poet laureate of Montgomery County and the only person to hold the poet laureate designation in any Texas county. 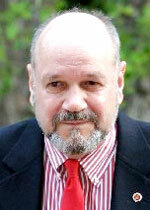 Parsons has taught creative writing at Montgomery College since 1996, has written and edited several books of poetry. He is in the process of writing another book that will be published by the Texas Review. Over the last decade he founded and guided the Montgomery County Literary Arts Council Writers in Performances Series, bringing well over 100 of the most distinguished authors to Montgomery College and other Conroe area venues.